Four years after, APJ Abdul Kalam tech varsity evolves draft norms for BTech courses. 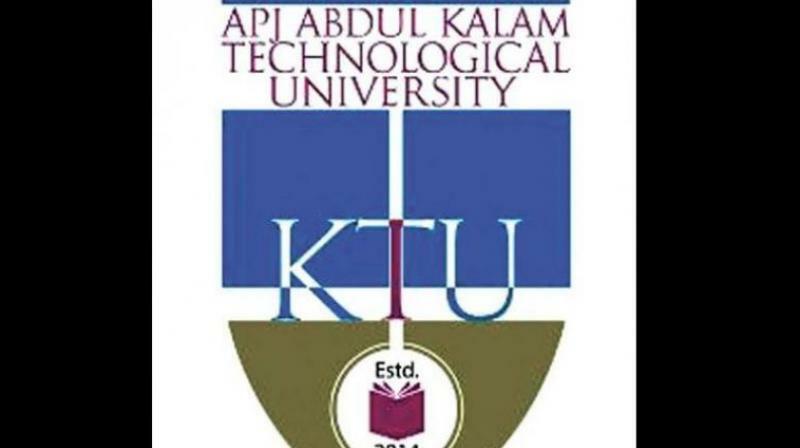 Thiruvananthapuram: APJ Abdul Kalam Technological University has come up with a draft regulation for undergraduate courses which wanted BTech programme to have 160 academic credits and two additional pass and fail credits for student activities. Ironically, the university which came into existence in 2014, could bring out the curriculum only in the fourth year. Till now, the B.Tech programmes were being held as per regulations existing before the formation of a separate university for technical courses in the state. Every course of B.Tech Programme will be placed in one of the nine categories as listed in the table below. No semester will have more than six lecture-based courses and two lab or drawing, seminar or project courses in the curriculum. The continuous assessment marks for individual subjects will be computed by giving weightage to the following parameters unless otherwise specified in the curriculum. iii. Final written test, quiz and practical test- 30 per cent weightage awarded by written test or quiz in the evaluation of laboratory or practical courses in S1 and S2. In 3 to 8 semesters this shall be awarded by conducting one end semester internal practical examination. A Student should have a minimum of 40 per cent marks in the end semester examination to be eligible for grading a course. Those who have more than 40 per cent marks in the end semester examination are awarded the grade based on both internal assessment and end semester examination marks. A student earns credits for a course if the grade is P or above. Otherwise, he will be considered to have failed in the course and an F grade will be awarded. Candidates who received F grade in an end semester examination will have to appear the end semester examination at the next opportunity and earn the credits. Internal mark percentage will not exceed 30 per cent over the end semester mark. Internal marks awarded to a student will be normalised accordingly. For example, if the end semester mark per cent is 40, then the maximum eligible internal mark per cent is 40+30 = 70 per cent. Grading is based on the per cent marks obtained by the student in a course. The grade card shall only give the grades against the courses the student has registered. F (Fail) 0-Below 50% (C.A + U.E) or Below 40 % for U.E only. The general pattern of credits are given below: one Hour Lecture per week- 1 credit one Hour Tutorial per week- 1 credit, one Hour Practical per week- 0.5 credits, two Hour Practical (Lab) per week- one credit.